Pacific Torque is an authorized overhaul dealer for Allison Transmission. 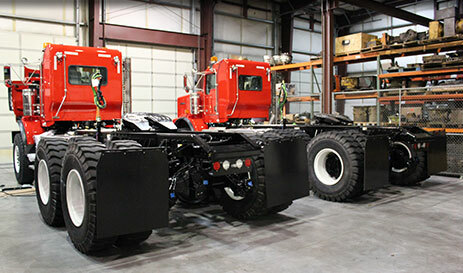 As a full-service operation we repair, remanufacture, or provide new transmissions for heavy-duty on and off highway and industrial applications. With over 35 years of experience we also offer re-gear expertise. We are the authorized ZF distributor for Washington, Oregon, Idaho, Montana, Wyoming and Alaska. We carry a large selection of remanufacturered ZF transmissions. If your unit requires a repair or overhaul, our factory trained technicians and parts specialists can provide seamless service throughout the process--from arranging freight to fast turnaround and factory certification with a 12-month unlimited hour warranty. Our goal is to keep your operations moving. As an authorized Cummins engine dealer for Washington, Oregon, Montana and Alaska, we are able to provide service and replacement engines of all capacities including CNG. Pacific Torque can repower a complex Cummins setup if needed or simply repair a unit. When you need a fast turnaround time without sacrificing quality, trust Pacific Torque. Pacific Torque is an authorized Deutz dealer for western Washington. Whether its troubleshooting, service, parts, repair or a replacement unit, let our specialists help you keep your Deutz engine running. For over 30 years Pacific Torque has been servicing Detroit Diesel in the coach and bus market. Built on this experience, today provide Detroit Diesel-MTU service and remanufactured units throughout the oil field, mining and transport industries. Local or Internationally, we are available to provide you with a solution to fit your needs. To Pacific Torque you're not a customer, you're a partner! So whether it's preventative maintenance, in-house or in-frame service, parts, or units that you need to keep your company running--you can count on us to do our best to help.